Does your Lexus need auto repair? If your answer is yes, don’t hesitate to contact the team of auto mechanics at Mancinelli’s Auto Repair Center. When it comes to the service and repair of your Lexus, it is always better to be safe than sorry. And if you believe something doesn’t feel or sound right, from a funky noise emanating from your tires or a squishy feel to your brakes, bring your Lexus to an auto repair shop right away. At Mancinelli’s Auto Repair Center, we perform digital inspections on virtually all makes of Lexus vehicles, and our ASE-Certified auto mechanics take a methodical approach to auto repair, similar to what you would experience at a doctor’s office for a physical. It’s not surprising either, seeing as Steve Mancinelli was in medical school. 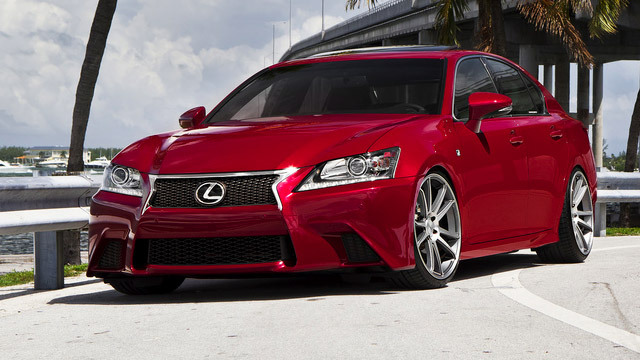 We will thoroughly inspect your Lexus from bumper-to-bumper, taking detailed notes and snapping photographs to show you. We will decide on a course of action, designed to preserve the longevity and reliability of your Lexus. “I think Mancinelli's does a thorough job without selling me anything I don't really need. I can get an honest answer when I saw "just do what's absolutely necessary right now" and I don't get any grief about that. Their shuttle service is great, as I always have a bunch of kids with me. They even brought my car to ME once when I couldn't get out. Great customer service in general.” -- Melinda S.
When you arrive at our auto repair shop in Downtown Denver for Lexus service, our auto mechanics will perform a digital inspection, searching for any sign, big or small, of trouble. And when you leave, we will send you off with a safe and reliable vehicle, popcorn, emery boards, post-it notes, and chapstick. With Mancinelli’s Auto Repair Center, it is all about the little things. Please call us, schedule an appointment, or visit us. We’re located at 375 Logan Street, Denver, CO 80203, and are open Monday through Friday, from 7:00 a.m. - 5:00 p.m.